Further, our analysis of the AmLaw 200 indicates that a surprising number of firms are seeing uneven results year over year. Based on the 189 firms who appeared in the AmLaw 200 in each year from 2016-2018 (2015-2017 results) only 51 percent showed two consecutive years of increases in profits per equity partner. A surprising 41 percent of firms had one up year and one down year during that time, while 8 percent of the firms had two consecutive down years. While all of this is interesting at a macro level, it gets a little more personal when your firm is one of those experiencing a down year or has the potential to have one in the future. What do you need to be thinking about to manage partner expectations and plan for the future? As most leaders have experienced, a critical first step in a down year is to develop a deep understanding of what is driving the dip in firm performance. Has the firm been impacted by a one-time event, such as a premium fee the previous year that the firm knew wouldn’t be repeated, or a deferral of a large collection into next year, or the early settlement of a large matter or two, or one-time expenses or investment? Or was the dip caused by potential longer term issues, such as the loss of a major client, the loss of a key rainmaker, or a systemic change in demand for a particular area of practice? Further, leaders and partners need to understand the impact of the dip. A decline in revenue does not always mean a decline in profits. And vice versa. In some instances, a firm’s average profits may decline due to the departure of a highly compensated partner/team who may have brought in a good deal of work but took out a disproportionate amount of compensation. This can mean the impact on the remaining partners is relatively minor, if anything. Partner departures can also be mitigated in the short term by the tail on their outstanding collections, although if this is the case the full impact of the departures is likely to be felt the following year and must be anticipated. You also need to think about what the revenue or profit shortfall is being measured against. Is it against prior year results or is it against the budget? Some firms get so wrapped up in budget results that they lose sight of the bigger picture. If a firm’s profits are behind budget but ahead of last year that may not be as challenging to manage, assuming the previous year’s results were satisfactory. Of course, managing two consecutive years that fall short of expectations may require more aggressive actions. It is also important to understand the market context. The various industry surveys can be a good source of intelligence on overall market trends for peer firms. Is your firm an outlier or are other firms experiencing similar results? If you are seeing a slowing in demand for a particular practice area, is that something unique to your practice or is it one driven by external factors (such as the regulatory environment)? Once you have a handle on the drivers and the context, you need a good communication plan. The primary audience is your partners. In an ideal world, the financial team has been managing results closely, and communications with partners about expected year-end results have been happening throughout the year. Early communication helps set the stage and manage expectations. Of course, some partners may not pay close enough attention to those early communications, so year-end messaging is always critical. It is often important to engage practice group leaders and key influencers in the messaging to the extent that partners will look to them for information or to gauge their reactions. Ensure that the group is well informed and has an opportunity to share their questions and concerns. Messaging also needs to be forward looking. While you need to address the year-end results head on, you also need to demonstrate the changes the firm is making to improve performance in the coming year. For firms whose results are publicly reported or, as in the U.K., publicly available, it is also useful to have an external communication plan ready. While modest dips (1-3 percent) in revenue or profit aren’t usually newsworthy, more significant ones often do get attention. Having talking points ready to put the results in an appropriate context for press or other inquiries can shape the story and ensure that it does not include misinformation. Finally, when the firm is having a good year due in large part to a one-time event such as a premium, make sure the impact of that is known to partners and they are prepared for a potentially different result the following year. Some firms restate average profits or point value to call out the impact of the premium. Of course, many firms also work to smooth results from year-to-year by prepaying expenses or making significant capital investments in the up year. Projecting future results is a critical part of the process both for managing the firm and setting the expectations of partners. Effective budgeting processes establish projections which are neither too optimistic, nor too easily achieved. Overly aggressive budgets based on unrealistic expectations of performance often result in shortfalls, which can shake partner confidence. By contrast, deliberately setting low estimates of year-end results can cause partners to assume the firm will continue to underperform. 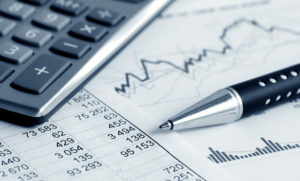 Realistic budgets guide partner expectations and avoid the uncertainty which can be caused by insufficient information. If the downturn in performance was a one-time event or is easily recovered from, leaders may seek to stay the course and focus on achieving budget in follow-on years. But if the underlying causes are ones that require more aggressive action, it’s important to move quickly to develop a plan to address challenges and position the firm to move forward. Does the firm need to right size? Cut expenses? Reinvigorate business development efforts (recognizing that producing results from business development efforts requires lead time)? The financial plan is a key element, but having a clear sense of direction and purpose is also critical. When firms experience tough times lawyers in the firm want to know what the bigger plan is and know that the firm is moving in a positive direction. Some firms find that a strategy refresh is important as it can provide the framework for thinking through the firm’s direction and confirming or redirecting the firm’s efforts. Volatility has become more common in the legal industry and firms must be prepared to deal with the consequences. As we potentially head in to tougher economic times, leaders need to be thinking ahead and managing proactively.